VWVortex.com - ELECTRONIC THROTTLE IN MK2 QUESTION - HAS ANYONE DONE THIS? ELECTRONIC THROTTLE IN MK2 QUESTION - HAS ANYONE DONE THIS? Thread: ELECTRONIC THROTTLE IN MK2 QUESTION - HAS ANYONE DONE THIS? 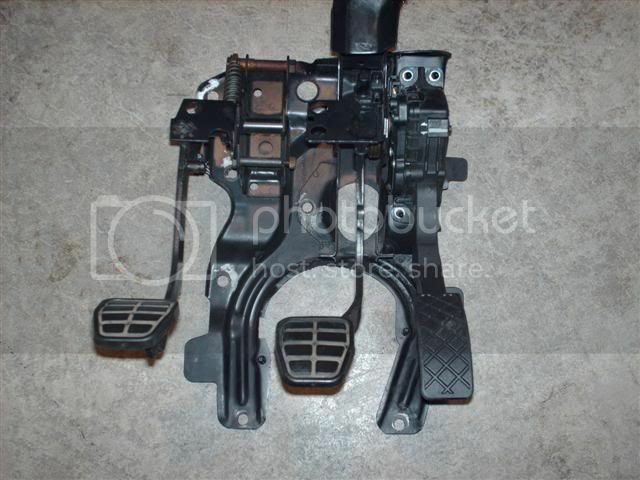 I AM INSTALLING A TDI IN MY MK2 & WOULD LIKE TO KNOW IF ANYONE HAS INSTALLED THE THROTTLE POSITION SENSER IN AN MK2 WITH A CORRADO PEDAL ASSEMBLY. IF SO - HOW DID YOU DO IT? THIS CAR WILL BE USING THE ELECTRONIC THROTLE. I JUST HAVN'T HAD THE TIME TO TRY TO FIGURE OUT HOW TO INSTALL IT. mount the DBW pedal in the Corrado pedal assembly, it works, its easy and likely the best solution. do you mean like this? i did that last night & it was easy & it did work well. hack out pieces of the corrodo pedal assy & weld in mount for throttle. drill hole in pedal & epoxy bolt in to capture cable end. and i like these huge pictures! and if someone can't yet appreciate them..... maybe someday thry can afford a monitor big enough to. they are great! and you can see all the detail..... except in the blurry pics..... sorry bout that. 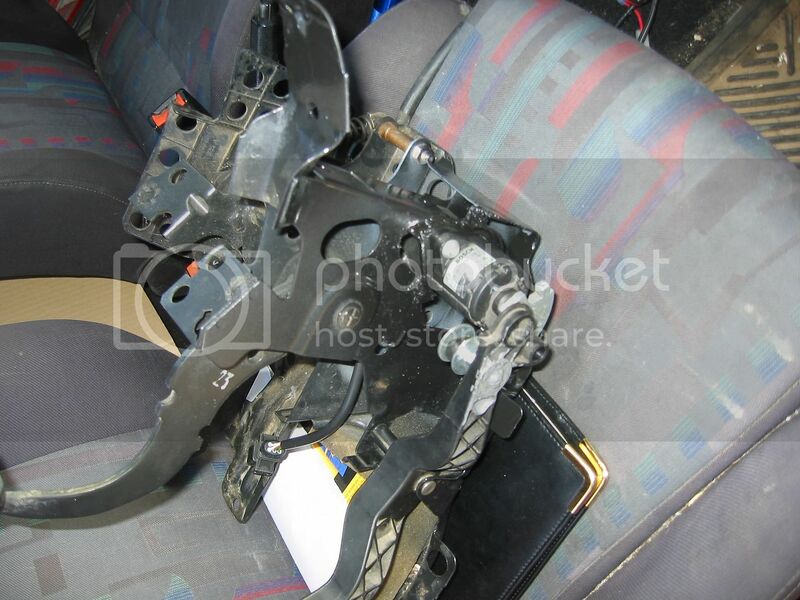 Next up, is the corrado g60 pedal cluster with the 1.8t gas pedal fabricated to fit. 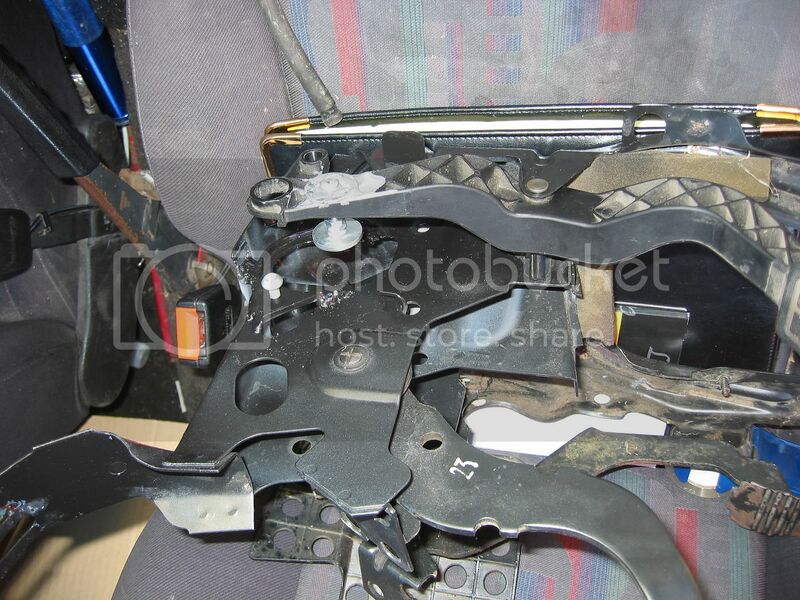 I needed the g60 pedal cluster for the hydraulic clutch, and I also needed the 1.8t gas pedal for the conversion from drive-by-cable to drive-by-wire. 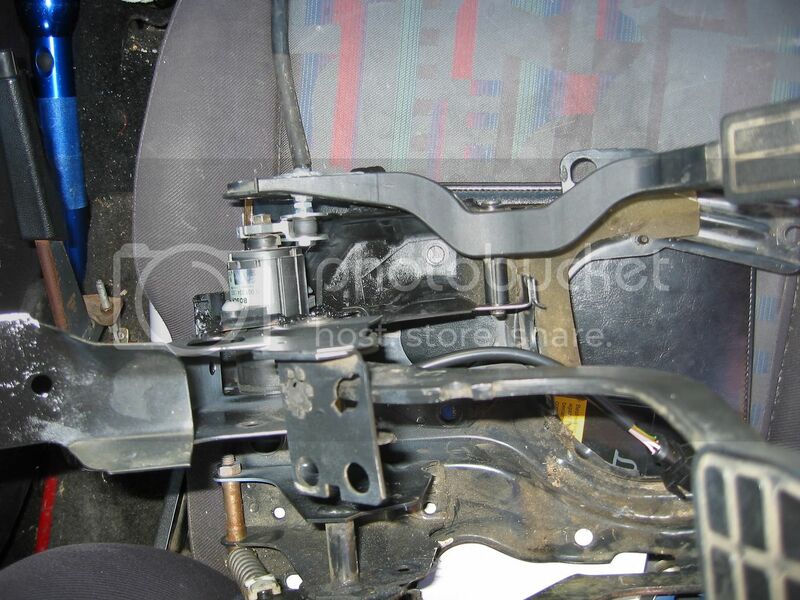 The 1.8t gas pedal wouldn't mount up to the g60 cluster, so we had to cut off the mounting plate from the 1.8t pedal cluster. 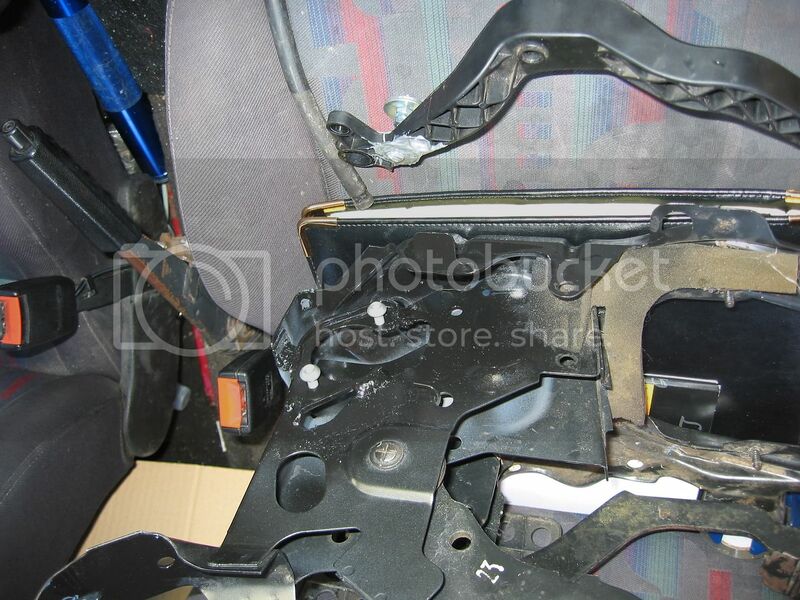 Then we cut it to fit properly on the g60 cluster and then welded it on. But what you did works too. 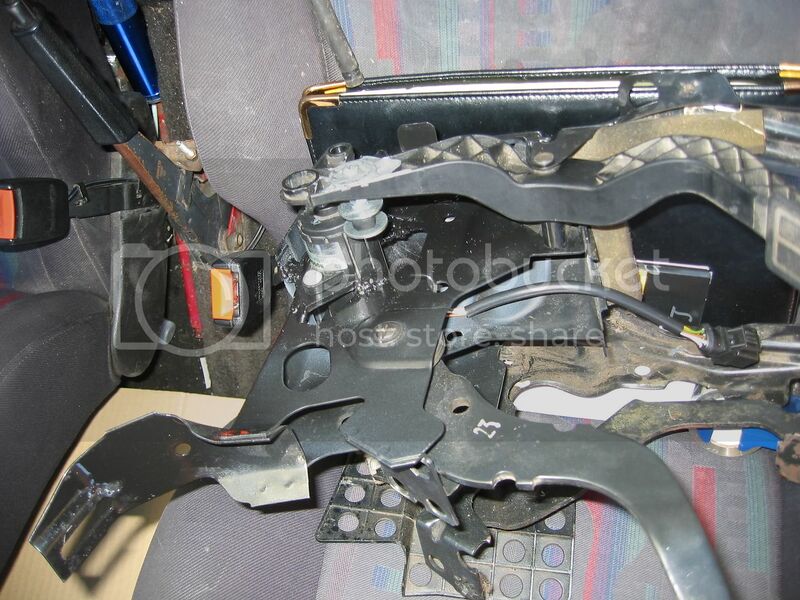 interesting...... that was quite an interesting throttle pedal... mk4? my mk3 unit wasn't nearly that nice to get to fit. juat the sensor & it's cable mounted to a cruddy little bracket that i chopped up to attach to the pedal since the mk3 pedal didn't clear the firewall right. good to see. it sure does. it's a 1998 TDI.... in a 1986 golf! he he this could be fun. & not to sound like an idiot...... but what does DBW stand for? It's what all the cars since 2000 have been using. 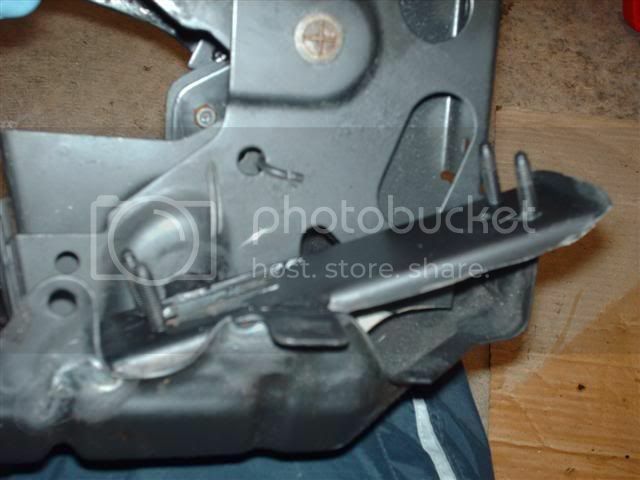 Electric throttle pedal instead of a direct cable link to the throttle body. Aw hell, I might as well pipe in too. http://www.vwfixx.com/forums/i...st=75 (page 4 if it doesn't already link to it). Re: ELECTRONIC THROTTLE IN MK2 QUESTION - HAS ANYONE DONE THIS?